The US should be more ready to stand its ground with China. It won’t get any respect in Beijing for trying to appease it. Confucius said ‘The superior man is firm in the right way, and not merely firm.’ From a Chinese perspective, the same can probably be said about other nations. When Hillary Clinton was running for the US presidency, she encouraged then President George W. Bush to boycott the opening ceremony of the Beijing Olympics to signal US frustration over China’s treatment of Tibet and lack of cooperation on Sudan. Her posture, reversed since she became Secretary of State, was remarkably un-presidential as any serious geopolitical analyst would have noted that the United States needed China’s support on virtually every one of its major international objectives—from redirecting Iran’s nuclear aspirations to climate change to stabilizing a global financial system near meltdown. But there’s also another side to China, and it’s one that doesn’t respect ‘desperate’ friendship, grovelling or appeasement. It’s this element to Chinese foreign policymaking that means the United States can’t simply acquiesce to all of China’s demands and expect China to respond in kind. After just a short time in Beijing recently, with an unscripted schedule and no government handlers, the most significant gap in attitudes that I’ve found between average Chinese up to senior state officials on the one hand, and Washington’s Mandarins on the other, is a different calculation about political firmness and resolve. Those leading the Chinese government, for the most part, put a premium on opaqueness and disdain transparency. Cautiousness is rewarded; risk-taking often punished. But perhaps most importantly, while these architects of China’s rise respect and respond to power, they view solicitousness and vacillation as weakness. The implications of this power dynamic in Chinese calculations are vital for US-China relations. 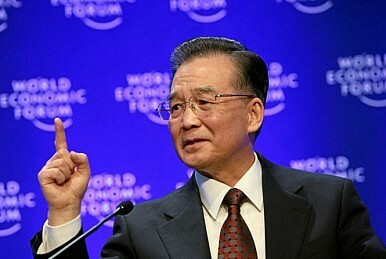 In other words, a United States that dithers on the release of a report on currency manipulation, or that offers a US-China Strategic and Economic Dialogue that buries all controversial issues and offers only what China wants to hear (as happened in July 2009), or that allows China to repeatedly veto key military exercises in the seas of Northeast Asia is, put simply, a weak United States. Indeed, China has watched Israel—a client state of the United States—discipline the White House. No matter what the realities are behind the scenes, the publics in the US, Israel and around the world see an Obama presidency that seems to need positive relations with Israel more than Israel needs or wants US presidential affection. Meanwhile, China sees America’s military capacity overstretched in Afghanistan and Iraq and notes US allies behaving as if they can’t count on the United States for the same level of support they once could. This has contributed to a situation whereby many of these same allies are now courting China for support, investment and strategic dialogue as they perceive a United States in decline.